Your front door is the first thing people notice when entering your home. With a Composite Door from Value Doors, you can create a spectacular entry way that is unforgettable. Our diverse range of Composite Doors have been expertly engineered with durability, strength and security in mind. Flawlessly imitating the look and texture of timber doors, our Composite Doors have an estimated life span of over 35 years. 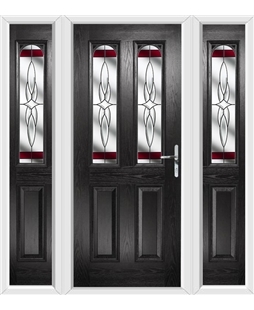 Fashion a beautiful focal point for your home with our Beautiful Composite Door range. Or, if you’re looking for a more secure door why not check out our Composite Rockdoor range. Opting for a Composite Front Door means you get a high-quality door that not only looks good but is secure and thermally efficient. With an aesthetic of a wooden Front Door, Composite Front Doors are perfect for all homeowners. Value Doors are passionate about ensuring your safety, which is why all our doors comply with current building requirements. Our Ultimate Rockdoor Composite Doors are the most secure doors available on the market. Defending your home from intruders, the only way through a Composite Rockdoor is with a key. Our made to measure Composite Doors effortlessly keep warmth in and cold draughts out. Their UV stabilised outer skin protects from discolouration and the ever-changing British weather, allowing you to maintain your home’s warmth all year round. Your home is as unique as you are, that’s why Value Doors are passionate about providing Composite Doors that reflect your home’s individual style. At Value Doors we go above and beyond to make sure our customers get the door of their dreams. With all our Composite Door prices being openly available on our website, the price you see is the price you pay. With Value Doors you receive a 10 Year Insurance Backed Guarantee, giving you complete peace of mind that our external doors and windows are built to last. At Value Doors your Rockdoor price not only includes your new door but also expert measuring, fitting and VAT. Toughened safety glass also comes as standard in the design of our Rockdoors. Your Rockdoor Composite Doors price even contains a 12 Months Key Return Policy and a 10 Year Guarantee. Since you can view all our Rockdoor prices online, you can trust that the price you see is the price you pay. Value Doors also proudly offer Rockdoor French Doors and Rockdoor Stable Doors. With security that is as solid as a rock, door designs that are beautiful and fantastic prices, a Rockdoor Composite Door is the perfect addition for any home. A selection of our Beautiful Composite Door range are available with matching side panels, giving your home and front door a standout quality that nobody on your street will be able to match! 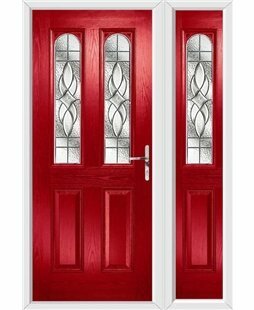 We’ve had customers asking us for matching composite front doors and side panels for some time now, so we’re delighted we can now offer these styles to you. We have a selection of matching composite front doors and side panel styles for you to choose from, in a wide range of colours and glazing options, so you’re bound to find the perfect combination for your home. Our composite front doors and side panels all feature compression moulded woodgrain effect external door skins, giving the fantastic feel and appearance of timber styles, with none of the maintenance issues. These skins are also scratch and dent resistant, meaning your new door and side panel is protected against common wear and tear. All our composite front doors and side panel styles have excellent thermal efficiency levels, benefiting from a high-density polyurethane foam core. This means heat loss through your door will be kept to a minimum, keeping your energy bills low. They have also been weather tested to BS6375. These front doors panels and frames are also reinforced with both timber and aluminium, making them strong against attack from intruders. Remember, we display all our prices on this site and they include the initial survey and measuring visit, fitting, the removal of your old door and frame, three keys as standard, a 12-month key retrieval service and VAT. We’re rated the number one door manufacturer in the UK across several leading independent websites and have installation teams up and down the country ready to fit your new front door styles. 0800 955 0898 to book in your no obligation survey today! A selection of our Beautiful Composite Door range is available with matching styles of side panels, giving that front of your home a standout quality that nobody on your street will be able to match! 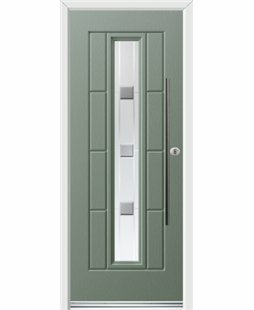 We’ve had customers asking us for matching composite front doors and side panels for some time now, so we’re delighted we can now offer these styles to you. We have a selection of matching composite front doors and side panels stylesfor you to choose from, in a wide range of colours and glazing options, so you’re bound to find the perfect combination for your home. Our composite front doors and side panels all feature compression moulded woodgrain effect external door skins, giving the fantastic feel and appearance of timber styles, with none of the maintenance issues. These skins are also scratch and dent resistant, meaning your new front door and side panel is protected against common wear and tear. All our composite front doors and side panel styles have excellent thermal efficiency levels, benefiting from high density polyurethane foam core. This means heat loss through your door will be kept to a minimum, keeping your energy bills low. They have also been weather tested to BS6375. 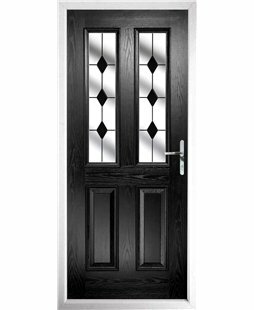 These front doors panels and frames styles are also reinforced with both timber and aluminium, making them strong against attack from intruders. door manufacturer in the UK across several leading independent websites and have installation teams up and down the country ready to fit your new front door styles.